What are some things the unfaithful person can do to show their remorse beyond just saying they’re sorry? 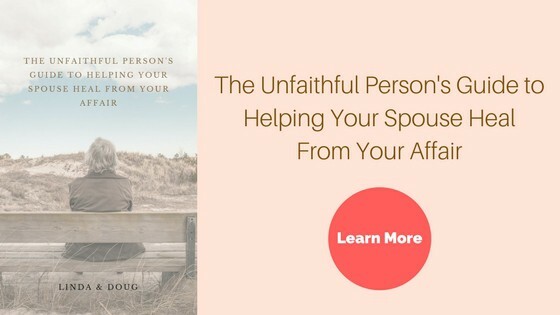 One of the issues we’ve been hearing a lot about lately during our mentoring calls, is that of the unfaithful person’s lack of demonstrating adequate remorse for their affair. Sure, the unfaithful person has said they were sorry, and otherwise feel that they are showing appropriate remorse. But the hurt spouse feels differently. They feel it hasn’t been adequate enough. And since most unfaithful persons have demonstrated a propensity for lying, gaslighting, blame shifting, stonewalling, etc. during their affair, many betrayed spouses may not quite be in the position to really trust and believe that what their spouse is telling them is actually sincere. So, it comes down to actions. What is the unfaithful person actually doing to reflect their remorse? Don’t get me wrong though…The unfaithful still needs to verbalize their remorse with an effective apology, but then it needs to be backed up by action. “As a therapist, one of the first things I look for in affair recovery is whether actual remorse exists, how the unfaithful partner expressed it, and how that is playing out in a couple’s recovery attempt. What are some things the unfaithful person can do to show their cheaters’ remorse beyond just saying they’re sorry? Take responsibility for your actions. When we accept responsibility, we are accepting the blame for our actions, and in a perfect world, also accepting the responsibility for making improvements in our lives. Take ownership of your actions without regard for the potential guilt and shame. Stop being defensive. Being defensive is a selfish form of self-preservation. Defensiveness is a trust killer and destroys effective communication. While your at it, stop the gaslighing, stonewalling and blame-shifting too! Empathize without minimizing. Put yourself in your spouse’s shoes and try hard to understand and validate what they’ve experienced. Do so without minimizing their pain, their reactions or feelings. Take the Initiative. Be the one to read books, make appointments with therapists and talk about your feelings and self-discoveries. Your partner shouldn’t have to arm-twist you into doing these things. Live honestly. Stop the lies. Offer the truth, the whole truth and nothing but the truth – in a timely and complete fashion. Your spouse deserves this regardless of how hard it might be to give it up. Work to live your life in a much more honest, transparent and trustworthy fashion. Back to the actual apology. 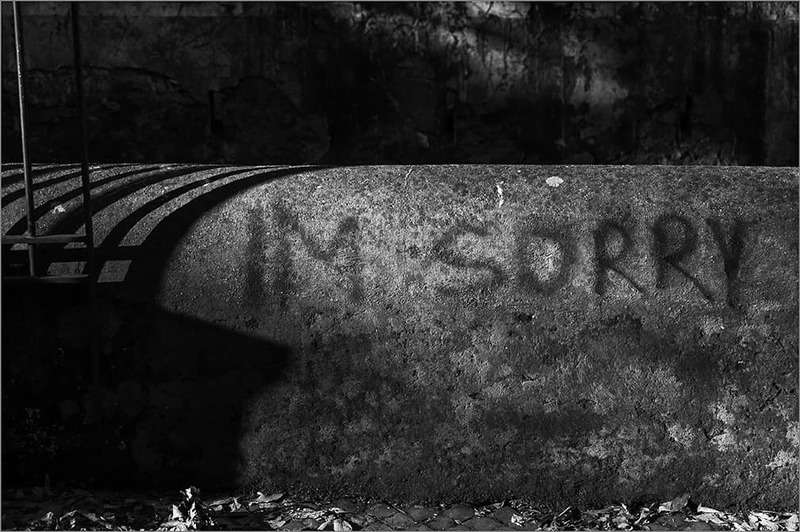 We received an email from one of our readers and mentoring clients who shared a link to a video about what a proper apology really looks like. This person said that both she and her husband watched it and it moved them both. You can view it below. Finally, please share in the comment section whether or not you/or your spouse has offered a proper, effective apology, along with the things that are being done to really demonstrate their remorse. If nothing is being done, what are some things you/your unfaithful spouse needs to do to show you/he/she is really remorseful? 23 replies to "Cheaters’ Remorse – Going Beyond “I’m Sorry”"
Even after four years my husband will still offer his apology and remorse for his betrayal. If anything with the passing of time and as we grow closer it sinks in more. It is odd but I feel more free where I think it still hangs over him. It was a process and I agree whether it is showing remorse, regaining trust etc the wayward needs to step up. I even think when it comes to love it is easy to say but it shows when the actions match the words. And not just here and there but consistently. Also a huge factor was my husband lived his life a certain way for a long time. It was not just the betrayal he had to face but really every aspect of his life. The only area I would say he never let slide was his professional life. While working with my therapist we got to the point where I had boundaries in place and things were going well. My therapist suggested to give some breathing room and as my therapist said “give him some rope” and see what he does. Does he hang himself or pull you along. It was hard to be vulnerable but it was the right timing. For us we had weekly meetings to talk about the betrayal then over time our relationship. We worked really hard to focus on ourselves and each other as our number one priorities. I also follow the saying talk less and listen more. By doing this I have allowed my husband to open up which has not been easy but has been very positive. The number one thing he has done besides being honest is not being defensive. That as he said is easy not that he has nothing to hide. This has been a ton of work but we are closer than ever and a better team then I ever imagined could be possible. We were always close even during the affair years but this is a whole new level. I credit my husband for opening up, being honest and transparent at all times since dday. It has not all been easy or without challenges. He thanks me all the time for giving him a second chance and I am thankful he told me so we had this chance to rebuild a new/better marriage. The apology on the video is extremely moving…..I can’t think of anything they missed. To receive an apology that thorough would really be something….but I’m not holding my breath. The video reminded me of actions he DID NOT DO…..such as a refusal to go for counseling, reading certain books etc. I know that I had certain expectations of what his remorse should look like. It should look exactly like the apology in the video, right? I had to let go of some of those expectations and look deeper. I had to look at what he was actually doing rather than what I EXPECTED him to do.. It was a very slow painful process (d-day was five years ago) Slowly he started listening to my pain, becoming less defensive, not reacting when I am triggered etc. Slowly his body language would become LESS DEFENSIVE when we talked about the EA. He was willing to move so that we are not in such close proximity to the AP. That took about three years but he followed through. I have to allow him to show his remorse in his own way…….and trust me that is NOT EASY. But when I stepped back a bit and did that things definitely improved. Lest you don’t think I have bottom line…..you would be wrong. The EA was ended the day I discovered it. No more contact. There is a moment in the video where he talks about not be alone in our pain. No one should go through this alone. In my own situation I had tremendous support but some of my most valuable support came right here. I’m not sure how I would have faired without all of your support and care. I think I have to let my expectations of the Apology go. Like SI it appears that my WW isn’t ever going to give me THAT apology or even act on it. Discussing the first time she was unfaithful when we were dating and planing to live together just a few months ago she threw it back to me that i wasn’t the easiest person to get along with. OK so go sleep with your old boyfriend who dumped you because of what you lacked for him. so still not taking responsibility for the 1 1/2 year affair and year of fence sitting so the length of the whole ordeal for me was over a year after discovery. She will say in counseling I am responsible for my affair but if i bring up a situation that is reminding me of her affair or how she was acting at home then i get either it was three years ago when are you going to let this go, or but you did this or that and that is a betrayal as well. So genuine remorse i have never seen and it keeps me really stuck, when she gets upset it usually about how she has suffered. Like the fact at last anniversary i said don’t get me a card or anything. So when she told her mother she deserved a trip to Italy this summer i got so pissed that i told her i wouldn’t be going with her. It never occurred to her to say to her mother i owe it to My H for all that i have put him through. For her it was its my 50th B day this year and our 25th anniversary. Never mind on on my 50th i was recovering from her affair and and on our 20th she was visiting her AP and dreaming about how she could step over the line and make it physical. So i am at fault for having that kind of reaction. Her habits haven’t really changed and it keeps me stuck. Any of my top needs for admiration and appreciation go unnoticed she says thanks. but thanks is not really focusing on the thing that you appreciate and it seems like a throw away. I asked her to do a gratitude journal. Nope. More affection and physical touch nope. I think the greatest testament you can really get from your spouse is the changes that they take on for meeting your needs and changing their habits to strengthen the connection on a daily basis with small acts. She feels that a big vacation should be all that it takes to get in the good and make us even. No seminars she will do. No reading material or articles i can send have no effect other than make her defensive as she knows that the reason i am sending it is because something she isn’t doing or is doing that causes me to be stuck. If i say its just information that was shared by an expert she says its just one persons opinion. All our counselors we have had she says Have agreed with her. I have to listen to what the counselors are saying. Just get over it. At least that is her interpretation of what the counselors are saying for her benefit. If i push back against that i get nothing but disrespectful judgements from her. I have told her her mind fuckery doesn’t have any power over me anymore. Like it did when she was cheating. I want to live my life and let her live hers. I am backing off and giving her the rope. If she drops it I am gone, she knows that. She has never said thanks for another chance since she relapsed 4 times. I know there are repentant women out there as evidenced by the apology above. but it takes a lot of introspection and death to ego to get there. My W has so much ego that I don’t think she will ever go to the true remorse and guilt over what she had done not once but twice in our relationship to do so would she would have to take off her mask that she portrays to everyone else. You describe my situation exactly. Now 7 years since first discovery. No more affairs but no real remorse. My wife’s attitude and behavior is just like yours. You are so right about how it makes you feel- stuck, ambivalent, resentful. Good luck and may God bless. unfortunately it seems like women are more prone to be ambivalent and unremorseful after affairs. Many men are the same way, of course, but it seems like a higher percentage of unfaithful women are this way. I’m not sure if they feel more justified because society tells us that the man has to constantly be romantic and woo the wife, with not really any mention that women should do the same (I guess it’s just taken for granted that it is something women do naturally? Definitely not the case, most women are as uninspiring romantically as men!) So they tell themselves this grand story about how they’re not loved and they deserved to be pursued and loved, etc. But obviously I can’t know for sure. My situation is different – my wife is remorseful. She still has some of the same attitude and emotional issues that crop up now and then, but overall she has demonstrated remorse pretty well. Although, when she actually takes a truthful look at our marriage, she knows that I always took responsibility and did just as many things around the house, we’re equally active in parenting (honestly I take a more active role in the emotional needs of our children), our family never lacked for anything, I actually enjoy being romantic so I did pursue her throughout the marriage…she strayed because of a short time period where we had some things going on that had us both really frustrated. And then she let the affair drag on for 8 months. The whole time she was lying and also treating me like crap and ignoring the family, I just figured she was going through a difficult time and so I took the burden of everything and poured out love. Apparently, that finally broke her, she confessed to me what she did and said she couldn’t deny that even though she was treating me badly and treating her AP like the most important person on the planet, I still treated her exponentially better than he did. More gifts, more attention, more tenderness, more everything…even though I had 4 kids and 8 employees that I was responsible for, and he had no kids, semi-retired because his wife is a trust fund baby, etc. Basically the complete antithesis of me. I’m not perfect, but I did a lot of things right because my dad was a good teacher. Eventually, she couldn’t justify anything and she couldn’t do it anymore. Does that make me feel any better? Not really, because you wonder why in the world she would do it in the first place, but that’s what happened. So perhaps the reason your wife has no remorse if because she still believes the story in her head – she may not be cheating anymore and even agree that it is the wrong thing to do (therefore may not do it again on moral grounds), but she still thinks it was justified, given her circumstances. Bor and Untold…………so much sympathy. I am 4+ years past D-day and yes I have received the apologetic “I’m sorry” etc but clearly will not receive the requisite change(s) in habits nor change(s) for meeting needs to seek to re-establish meaningful connection. Introspection, death to ego and awareness of what is being sought by the Betrayed is maybe simply a step too far for some of the unfaithful. I’ve read that sometimes also the unfaithful feels extremely shameful and to revisit that shame is painful which is why they won’t do recovery work. That’s not a good excuse, but it’s reality – let’s face it, if our wives were the type that did NOT run from pain, they wouldn’t have cheated in the first place. But they are runners – they don’t take a painful situation as an opportunity to grow closer to their spouse, or to communicate more, or to demonstrate unconditional love…they use painful situations as an opportunity to blame, shut down, be selfish…and run away. Recovery is this weird dance sometimes. The unfaithful definitely needs to be willing to do the work, shoulder the blame, etc….but they are so much weaker than us. Honestly, they are pitifully weak – on the emotional level of teenagers or children, many of them. I did most of this by accident, but it helped her to see her story was a lie. But, it takes communication. If your spouse won’t communicate, what do you do? Honestly, if my wife didn’t want to communicate or do the work, I’d be gone. I wouldn’t want to stay. Have you told him that…..have you said “I need to hear the words”? I know I have told my husband that he has never asked for my forgiveness. Perhaps I need to tell him more explicitly that I NEED him to ask me for forgiveness. You would think they would just KNOW…but I have found I can’t make those assumptions. I wish my husband would do any of what yours has. Mine won’t read any books, go to individual or marriage counseling, change jobs even though he had multiple affairs over 14 years at his current job one for years with his direct report who he speaks with almost every day, etc. all I have gotten is I’m sorry and the resentment and defensiveness and contempt every time I have any triggers. Like others on here I’m resigned to the fact that my husband just doesn’t care that much and is biding his time until a divorce makes sense for him financially. Mentalcost, I have found what has really helped us is telling my husband what I need to recover and move forward. I spend a lot of time thinking about what I want and need and also what kind of relationship I want. And I tell him what I need. I also make an effort to thank him or tell him I appreciate when he does something. I agree words will not make past decisions better however for me I need to hear those things. I do not want it to be forced but the words do help. I always say that the actions need to match the words. I need both personally. 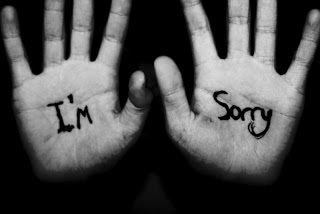 When my husband says he is sorry and regrets what he has done I thank him and tell him it does make me feel better. I do not give my husband a pass at all on any part of this however I can see it is just as hard if not harder for him to navigate the recovery. I look at it as I make sure he understands what I want and need so there is no guessing or questioning. I know the person who wrote that apology letter, and have been walking with them in their recovery alongside for some time. I believe Samuel read it at the conference in order to preserve her anonymity. Her husband is one of the few fellow betrayed men that I have really confided in and come to rely on for support. Their story of recovery is long and painful, like so many others, but I can tell you how incredibly moved and validated he felt in her writing of that letter. I hope so much that this letter can find its way into the hearts of the unfaithful out their and that you can really take them in, because I assure you, what she is apologizing for is very much what your betrayed spouse is feeling today. the thing that I fear is that I will never quite get there…..never completely forgive. Something broke very deep inside of me whe he cheated and I don’t know if he can ever make it up to me. And this is after five years of struggling. SI- I know what you mean. It’s four years for me and I feel the same way. Something broke inside me and I’m not sure it can be fixed. My wife has apologized but it was “because I hurt you” or “what I did to you”. It has never been “I’m sorry for lying and cheating on you. I’m sorry for breaking your heart by having an affair”. I’ve screwed up in the 25 years of marriage but I’ve truly apologized for the exact things I’ve done. And I know that I struggle with true forgiveness. I’ve forgiven my wife with my head but not from the heart. But there are lingering questions that have never been answered & I think that stops me from true forgiveness. Forgiveness for me seemed impossible based on what my husband had done and for how long. I never thought I would make it through this all. I will say though over time while watching and listening to him that has changed. For me I have totally forgiven him since I really see what he did was he betrayed himself. He let himself down. And I see the pain he causes himself still day to day. It hangs over him without me ever bringing it up or talking about it. We are over four years past. It is not a daily topic but it does weigh on him more than me. I never thought this would happen. I thought it would be the death of me. I do think it guides him still though to this day and I personally think it is good it sits with him as a daily reminder. Life is so different too. I honestly feel like I am married to a different man. I would never wish this upon us or anyone else but I do feel that we are closer than ever because of going through this recovery. This is a long and hard road. Thanks your words have helped. Sometimes things are going along really quite well and then something just hits you up the backside of the head, seemingly out of nowhere. This absolutely is a long hard road. I am not sorry I stayed but I am not where I want to be in this yet. Slowly…one step at a time. SI, One thing I have come to the realization is that this will be part of my life forever and our marriage. I think even if we were not together anymore it would stick with me and influence future relationships both romantic and friendships. It has changed me so much. I try to see all the positive ways it has changed me. It is a long road for sure! I think we are all hit with it from time to time. Reminders are everywhere. All I can say is I try to focus on the present. Looking back at the past or into the future is usually where I get tripped up the most. Thank you…..I feel much the same way. Just every once in a while it knocks me down again….but I get up much quicker than I used to. My heart breaks for you….it’s all so very difficult. Picking up the pieces and then trying to put them together again is a long painful journey. I also wrestled with the age old question “DO I STAY?” OR “DO I LEAVE?”. For several years I gave myself permission to NOT have the answer for now. We had far too many good years behind us to NOT give it my best effort. I cried almost everyday for the first three years after d-day. It wasn’t until the fourth year that some of the deep sadness started to lift. Feelings for my husband slowly crept back into my heart…..almost while I wasn’t looking. We started to laugh together again. I have to accept that I will never be quite the same again….the pieces will fit together differently than before. The tear might get mended but there will always be scars. At the five year mark….I marveled that we had come this far. I know that I haven’t totally forgiven…..but I am much closer than I was. I do not regret staying. No one can decide for you whether you go or stay…..but I would caution you in taking the need time to make that decision. Allow yourself to go through the grief that betrayal brings. Thank you……it’s only been 2 years from DDay 1…..I no longer cry every day, but those days when I do, I feel like my heart has been broken all over again……I believe he no longer cares for the harlot he cheated on me with, but I also believe he doesn’t love me like before the affair happened……it goes without saying that I don’t feel NOTHING like before the affair, my biggest struggles are trying to regain my feelings for him back……I see a therapist weekly, we have a couples therapist that we also see weekly, we have mentors that check up with us, we have pastoral counseling available as well; it’s jist that I can’t seem to turn the page and really start afresh…..it’s like in my eyes, he hasn’t atoned enough for his trespass against me and my hurt and pain refuse to be swept under the rug like he would like it to……I came up with the idea of having a “symbolic” funeral of the harlot by burying a doll representing her; I mentioned it to both therapists and they were all for it; the couple’s counselor even suggested that we write letters; one from my h to “break up” with her and renouncing to any kind of hold she could still have over his heart and one from me to let go of my hatred and rage at her for interfering in my marriage and for feeding inappropriate emotions into him……I enthusiastically endorsed the letter writing until my h shot it down by saying that he wasn’t comfortable putting anything into writing that I could later use against him as evidence……like…..really???? THIS is what keeps you from helping ME to heal what YOU BROKE, you effing a**hole?!?!?! I feel like I am SO DONE with this jerk!!! Yet, at the same time, I DON’T want to split a marriage of 30 years!!! There ARE good memories there!! Not everything was bad and broken!! And we have 4 beautiful adult children that we raised together, who have turned out to be good, decent people, so we did something right……so…..I will NOT make a rash decision and will still keep trying and see if those feelings return someday…. KIttypone, It is so hard going through this. 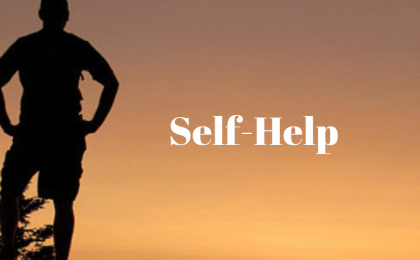 It sounds like you are doing a lot of things to support your recovery. Honestly like SI at year two I was still in the depths of all of this. My husband did say he felt like no matter what he said it was going to get used against him whether verbally or written. I had a hard time at the time understanding that but I get it more now. And honestly the way he saw things evolved and changed through our recovery. What worked for us is I went to therapy. My therapist was amazing and only focused on therapy related to betrayal. I kept a daily journal and we set a time aside each week to talk about it all. That way it was not a daily focus. We also scaled back everything and basically only worked and took care of our kids. Everything else we did together. For us our major breakthrough happened once he started to let his guard down and work through the recovery. Initially I thought I would never heal but then once I started to get to a better spot was when my husband stared to focus on himself. And honestly I was shocked at how this has affected him more than me. I figured since he made these decisions and did what he did over the course of ten years that he had dealt with it. But honestly he transformed himself and opened up like never before. I will say though it happened on his timeline and basically I talked less and listened more. When I just let him open up was when his biggest changes came. Granted I will say he is a mental health professional. He has the education, training and personal experience to do this. He also knew what he was doing was so wrong and took our marriage to the brink and did it anyways. But my therapist advised me once we were through the major healing, set boundaries and expectations to give him some rope and see what he does with it. My therapist at list in our situation felt like he needed to step up and I cannot create these perfect scenarios. My advice is to figure out what you want, what is your ideal situation. 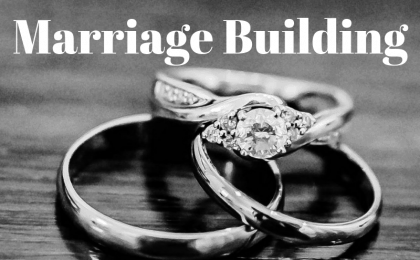 What do you need from your husband and what can you do? And even though we all wish it never happened and we could go back and change time we have to move past those thoughts. But devote time to figure out what you want. For me I have kids at home and I wanted to give my 100% effort to make it work for them. That was how I felt on day one. If my husband did not then that was on him. As time went on I realized I wanted to try to make the most of my marriage and see if we could create a new one. Esther Perel’s work regarding most of us live longer and will have several marriages, will they be with the same person or different people hit home. Also I suggest reading and sharing an article from The Atlantic, Masters of Love. It focuses on John Gottman’s work. It is an article my husband brought home. My husband could never read an entire book about infidelity. But he read this article. And four years later he still references it. After reading that I read every John Gottman book. They guided me. I like how they are based on a lot of scientific research but provide many real life solutions. Hang in there we are all with you! My husband wouldn’t have gone along with anything like that either. No he wasn’t going do anything written….because…WAIT FOR IT….Look how that turned out for him last time. (Meaning the incriminating emails I stumble across) If it wasn’t so painful all the excuses the CS comes up with are beyond ridiculous!! He also refused to go for counseling….encouraged me to go though. Again so frustrating. I really did have to take a step back and allow him to process things on his own time-line. That was so difficult for me as I’m much more of a let’s put all our cards on table type of person.